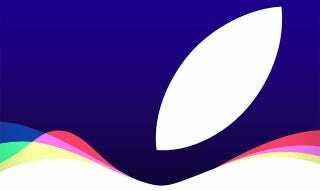 As we expected, Apple’s next iPhone will be announced on September 9, 2015—the same date as last year’s iPhone event. We’re expecting Force Touch, better cameras, and better processors all wrapped in a similar looking design. But Mega iPads and Apple TV (set-top box and streaming service) are expected to also make an appearance. In the full invitation below, Apple teases “Hey Siri, give us a hint.” The rainbow-like design clearly teases the Siri overhaul on iPhone that will look more akin to Siri on the Apple Watch, which is something we’ve known for months. We’re still waiting on our invitation like a lover scorned, but either way we’ll be blogging full force in less than two weeks time.